A not-for-profit will take over the future stewardship of Nimmie-Caira – an ambitious experiment in private management of land for environmental purposes. A consortium led by not-for-profit group the Nature Conservancy will run Nimmie-Caira – 85,000 hectares of Murrumbidgee floodplain in southern New South Wales. Nature Conservancy is expected to give priority to managing the high-value wetlands on a property near Balranald, and give access to the local Nari Nari people. NSW water minister Niall Blair has confirmed the tender outcome. The Commonwealth bought about 19 properties and their water rights for $180 million in 2013 under the Murray-Darling basin plan to return water as environmental flows to the river system. The land was transferred to the NSW government, which held a tender for the management of the land. The Nature Conservancy manages land donated to it around the world. 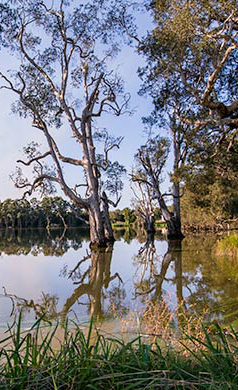 The NSW property includes important natural habitats such as wetlands, river red gum forests, lakes and floodplains. The Nari Nari tribal council will be central to the management of the property, benefiting from the employment and reconnection to country it offers.